Toulouse-Lautrec's Paris in New York Jump to media player An exhibition of work from French artist Henri de Toulouse-Lautrec at the Museum of Modern Art (MoMA) offers New Yorkers a glimpse of late 19th Century Paris. Why Tiki became a US phenomenon Jump to media player In his book Tiki Pop, Sven Kirsten describes how Tiki bars and cocktails became a welcome escape for Americans in the 1950s and 1960s. Who was that man on the Moon? Jump to media player Why one year after Apollo 11, most Americans couldn't name Neil Armstrong as the first man on the Moon. We spoke to Matthew Tribbe, author of No Requiem for the Space Age. Overcoming fear and grief in Mexico City Jump to media player After his wife's death, writer Francisco Goldman spent five years in mourning before embracing Mexico City life again. Who is the real Madeline? Jump to media player "Madeline in New York" features artwork from creator Ludwig Bemelmans 75 years after the book was first released. This year marks the 150th anniversary of the birth of an artist whose work came to define the bohemian Belle Epoque in Paris. In the late 1800s, Henri de Toulouse-Lautrec won fame by depicting the performers, prostitutes and hedonistic patrons of the French capital's thriving dancehalls. 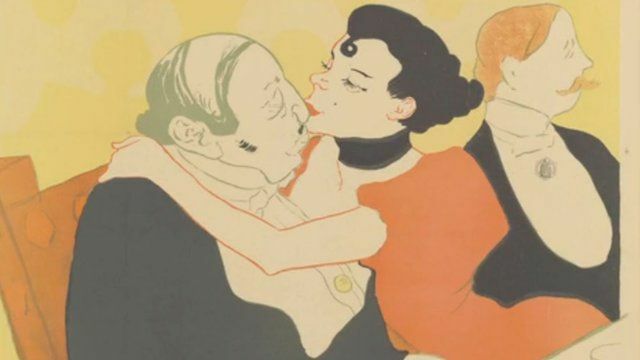 His posters still resonate today, and this summer the Museum of Modern Art in New York is showcasing its extensive collection of some of Toulouse-Lautrec's best work. Accompanying the exhibition is a book written by its curator, Sarah Suzuki. The Paris of Toulouse-Lautrec: Prints and Posters From the Museum of Modern Art is a comprehensive look at an artist whose short career spanned only ten years.